You can just make out the rows of tea lights used as rink markers. One of the rink markers. As fast as each light was lit, the wind tried to blow it out. Well, we did manage to get most of them alight - to begin with, anyway. What do you reckon, Barry - are we all mad? 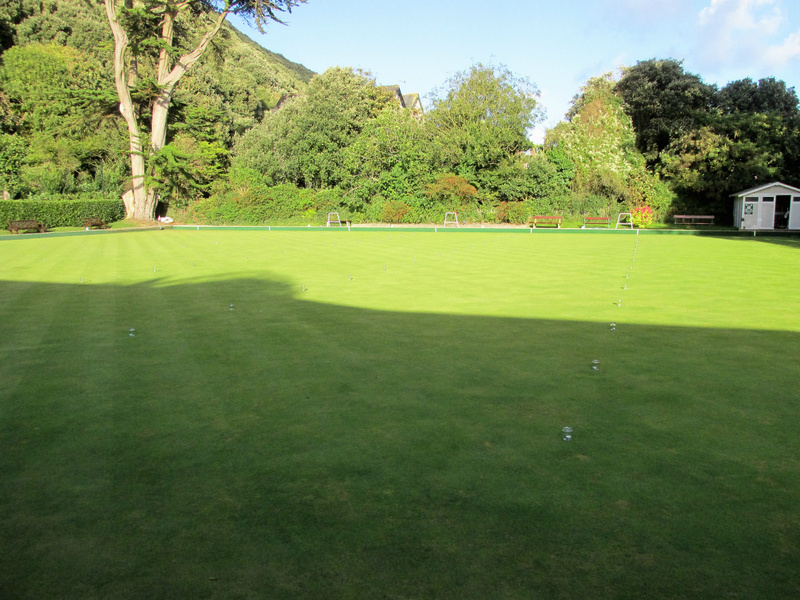 Don't know, Ivan - is this the last end? CLOSING DAY/NIGHT September 25th 2016. When we announced that this year’s Closing Day was going to be “different” nobody could have imagined HOW different it WOULD be! 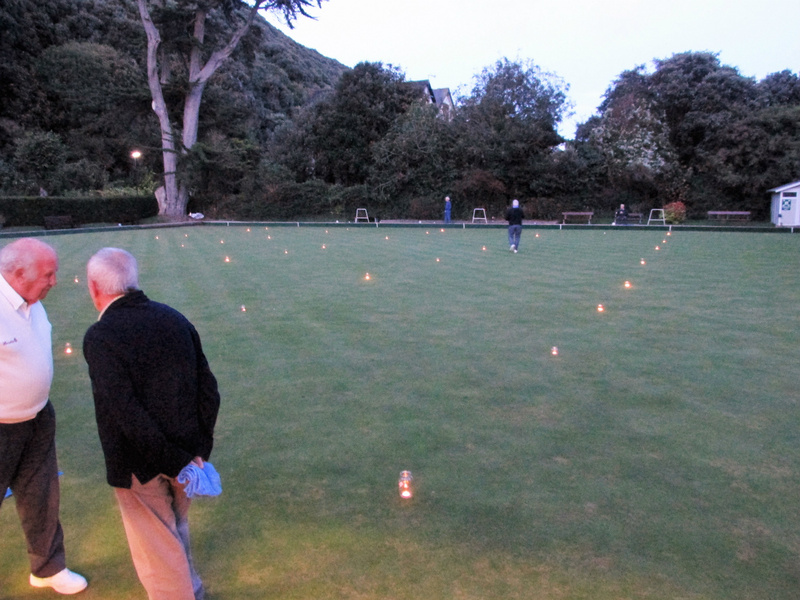 The mystique surrounding the advertised event was enough to attract fifty-four members and friends who gave up their Sunday tea to see what it was all about! They were not disappointed. A sumptuous “Bangers and Mash” meal at 5.30 was (as usual) thoroughly enjoyed by all present and was excellently prepared by Catering Manager, Carol Venier, and her band of loyal helpers – not forgetting Maître D’ - Derek Venier! 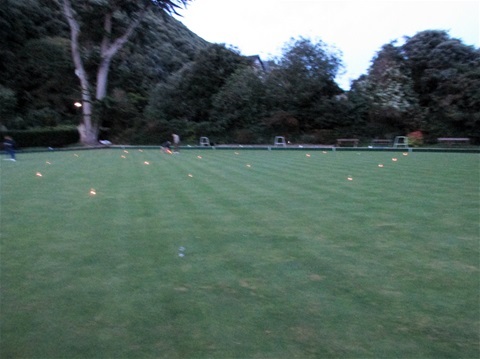 After the food had settled down at about 7 o’clock, over forty members took part in what can only be described as “blind bowls”. You could see the mat and very little else - with the jack illuminated only by a solitary torch. 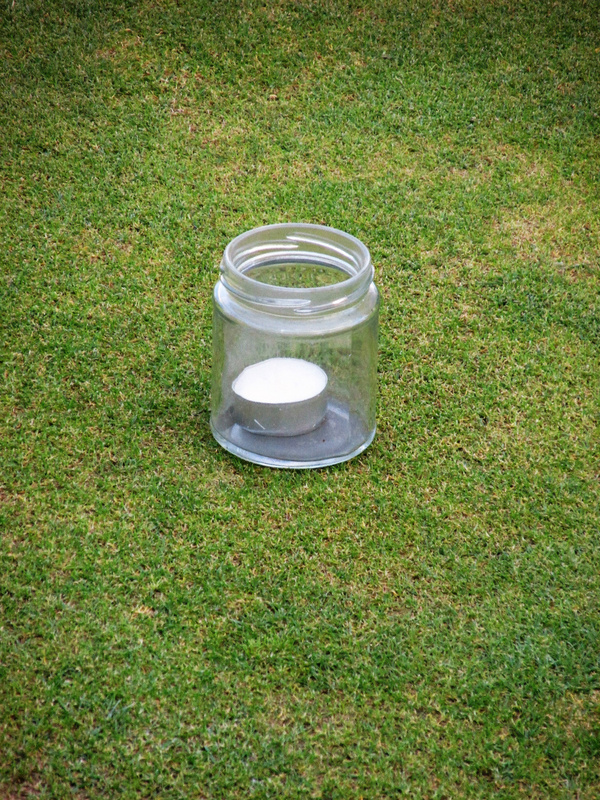 Rink boundaries were marked with tea lights in glass jars, which, unfortunately, blew out soon after play began due to the gusty wind. 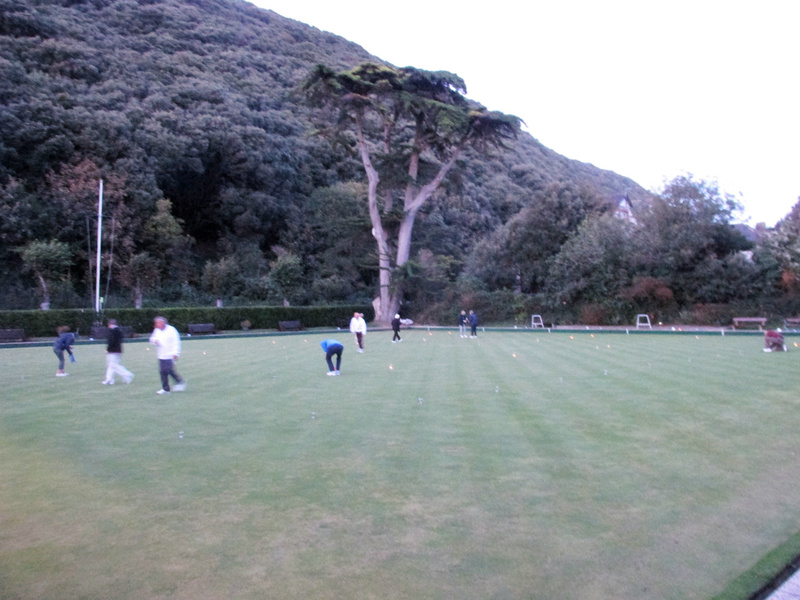 Nevertheless, a couple of hours later, four winners emerged from each of the four rinks and they were; Rose Holmes, Phil Pearce, Maurice Kane and Tony Hornby. Many thanks to Derek for organising “something different” and a special mention for the ladies who cleared up while everyone was outside trying their best not to trip over obstacles and each other!